Lean methodologies have been used in a variety of industries for many years now. The way lean is implemented varies from industry to industry, but the main point of it, which is to maximize customer value while minimizing waste, remains the same no matter where it is used. 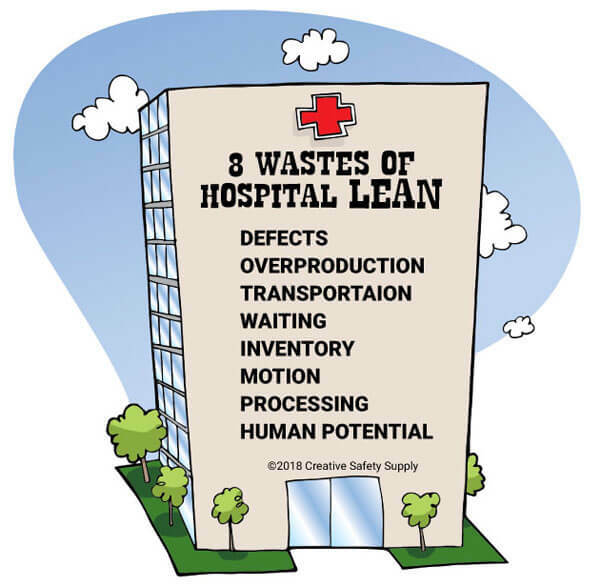 One popular area where lean is used is in the healthcare industry. While a lot of what is done for lean healthcare is similar or the same as what it would be for lean manufacturing, lean offices, and other things, much of it is also quite unique. Medical facilities don't operate in the same way that other facilities do. This is why lean healthcare is widely seen to be its own stand alone set of concepts. It is most commonly used in hospitals, outpatient facilities, surgical centers, family doctor offices, and even dentist offices, among others. The fact that healthcare settings are so unique requires that one understand exactly what lean healthcare really is before moving forward with its implementation. This understanding needs to go beyond just the administrative team at a hospital, and should extend to all the doctors, nurses, maintenance teams, and everyone else who works in the area. Learning about the goals of lean healthcare is a simple process, but implementing these goals can be more difficult. Facilities will have to go through a constant cycle of monitoring the current situation, ensuring they are providing excellent patient care, and minimizing overall waste. Just like with any other type of facility, implementing lean healthcare will require changes and work from every employee. The management team is going to be where all this begins. Having everyone on board, and trained to understand how lean healthcare works, and what the benefits are, will help ensure full participation. Having a small number of senior leaders take on the role of lean manager can help to ensure adoption by the rest of the staff. Depending on the type of facility that is implementing these lean strategies, the lean managers will primarily be focusing on what types of changes will be made, and getting them implemented. The actual choosing of lean projects will be handled by small teams that include members from all impacted departments. In a hospital setting, this could include management, doctors, nurses, legal teams, maintenance teams, and more. Discussing the goals of any change, and identifying if there are any potential risks, will help to ensure everyone is on the same page. Any change that is going to be implemented will start off by identifying a potential waste that can be reduced or eliminated, and seeing how the change will impact the customers of the facility. One of the first places to start with lean healthcare is identifying waste. In the healthcare industry, a lot of waste is produced in order to help protect the health and wellbeing of patients and staff. Needles can't be reused, everything needs to be washed properly after each use, and so on. This can make it more difficult to find waste that can be eliminated, but once a facility understands what to look for, it can be a lot easier. Wasted Motion - Staff often walk long distances to get what they need. Repositioning supplies, and ensuring patients are situated in ways that minimize the need for doctors to walk around can be very helpful. Unnecessary Contamination - When working quickly in a medical situation, it is easy to contaminate unused instruments, gowns, or other items. These things then either need to be disposed of or washed, which can be wasteful. Finding ways to protect these items (without delaying care) can be very helpful. Looking for Things - When items aren't in the proper places, they take a lot longer to find. This is not only a waste of time, but also reduces the quality of care given. Lean healthcare standards ensure everything has a specific spot where it belongs. There are many other types of waste that can be identified in medical environments. Finding out which ones can be reduced, and which ones can be eliminated, can require a lot of trial and error. It is important to make sure the facility works together to predict what type of impact waste reduction will have on the patient and other customers of the facility. Making a mistake in how things are implemented can literally be a life or death decision, which is why it is so important to get it right. With most types of lean strategies, the customer is going to be the person or company that is buying the end product. With lean healthcare, that is not always the case. Of course, the customer is going to be the patient, but there are other customers as well. This could include the hospital owners or investors, other departments within the medical facility, and the community as a whole. Unlike most other businesses, the number one goal of a healthcare facility is not to make a profit, but to help improve people's health and wellbeing. Keeping this in mind when implementing lean healthcare standards can help to prioritize goals and ensure efforts are made based on the real needs of customers. Lean healthcare strategies are implemented in a variety of ways. Sometimes a medical facility will adjust strategies and procedures in order to eliminate waste or improve the service they provide to the customer. Other times, this is done using lean healthcare tools and equipment. 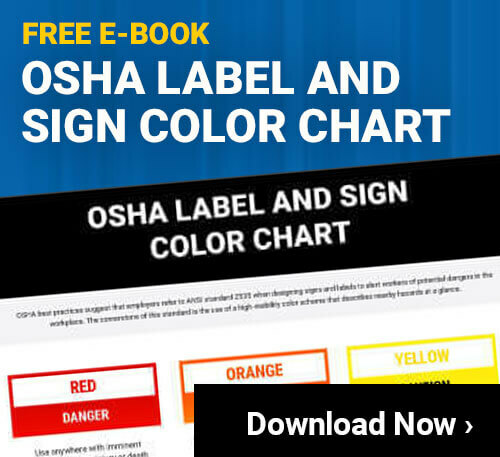 These items can help to make it easier to follow the overall lean strategies and ensure the standards in a given facility are followed. Lean Healthcare Floor Marking Signs - Using floor marking signs can help to provide information, keep things organized, and much more. There are many types of floor marking signs that can be used based on the needs of a medical facility. Floor Marking Tape - Floor marking tape can be used for clearly marking aisleways, giving people a path to follow toward specific areas, and more. Educational Resources - Having lean healthcare books, presentations, or other resources available can help ensure everyone is on the same page when it comes to how a facility will use lean strategies. The most important tool for lean health care is going to be training. This training can take place in seminars, meetings, flyers, supervisor discussions, written materials, and more. In addition to the initial training that team members will need, ongoing training is a must for keeping everyone on the same page.